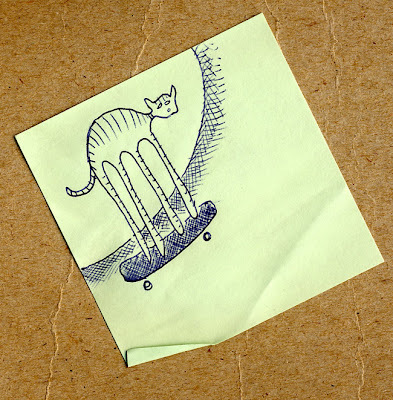 This entry was posted in cat, skateboard, stickynotes. Bookmark the permalink. Cats would make excellent skateboarders due to their superior sense of balance and the whole righting reflex thing.